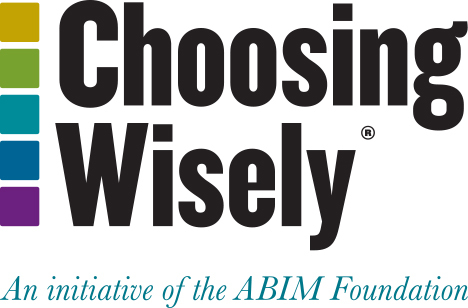 The American College of Physicians’ (ACP) grant advanced Choosing Wisely by disseminating a free program through their High Value Care (HVC) initiative. The program — launched in early 2014 — was designed to improve patient outcomes by educating providers on ways to balance the benefits of a given intervention with its harms and costs. multimedia content, such as audio and video clips, that demonstrate communication skills. Each of the cases was approved for CME and ABIM Maintenance of Certification credit. To disseminate the cases, ACP conducted a series of webinars and a one-hour, CME-approved promotional session, both of which were incorporated into selected ACP Chapter Meetings and Regional Pri-Med Meetings. ACP also placed a number of banner ads on ACPOnline.org and a print ad in Annals of Internal Medicine. More than 1,000 physicians completed at least one case. The American College of Physicians is the largest medical specialty organization and the second-largest physician group in the United States. ACP members include 137,000 internal medicine physicians (internists), related subspecialists and medical students.